by Brian Lewis - November 13th, 2016. 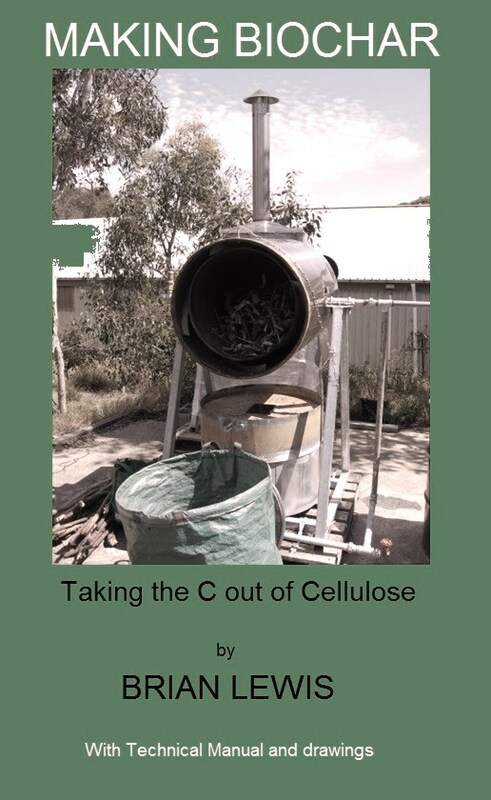 South Australian on-line publisher Strong & Bold Publishing has released the 2nd edition of “Making Biochar – With Technical Manual” written by ‘Yours Truly’. 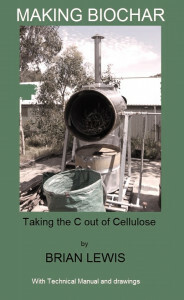 This book is based on the experience gained from 5 years of developing and trialling 3 different styles of biochar kilns. It may be unique in that it provides detailed fabrication drawings for building two different types of kiln. The book provides an excellent introduction to biochar basics and detailed instructions on the operation of a biochar kiln together with a chapter on the economics of making and selling biochar. The detailed drawings of two types of kiln are provided via the publisher’s website after entering a code obtained from the book. A case study on using a kiln by a commercial winery is included. And a description of a DIY kiln is also included. The epub version of the book is available to purchase for $9.99 direct from www.strongandbold.com and a Kindle version is available from amazon.com. This book will be of interest to all biochar enthusiasts, small landowners, horticulturalists and anyone else interested in the improvement of soils by the addition of carbon. Strong & Bold Publishing specialises in e-publication of Australian writers, old and new.